Made of premium material, it is reliable and durable for a long time. It is soft enough to prevent your piano from scratches. Creative design with a piano keyboard. Can be used to clean the rust of piano. Also great for cleaning and dusting other musical instruments. 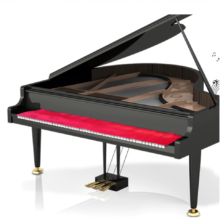 The soft and comfortable keyboard cloth is intended for the upright piano, grand piano, and digital piano. 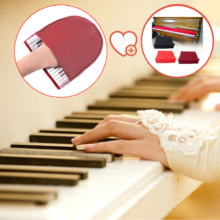 It can prevent the piano keyboard from being intruded by the dust through the keyboard gap, and being malfunctioned caused by the damp environment to some degree.